Forwarding our video can earn you $5 for each friend up to $25. Click the video image above and request the VIDEO SPECIAL and we’ll send you instructions for viewing and forwarding the video. You can earn a $25 Credit Memo in just 3 minutes! Want to break your project down into payments rather than paying up front? 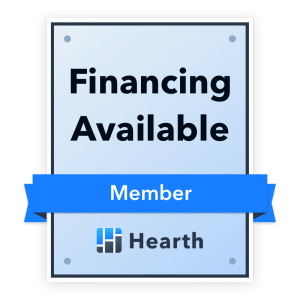 Click the HEARTH image to see your options WITHOUT ANY EFFECT ON YOUR CREDIT SCORE. Just ask and we’ll send one of these FREE, limited edition Pocket/Pen notebooks as long as they last. 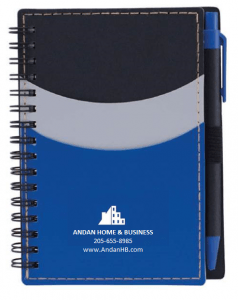 NO PURCHASE NECESSARY but you may schedule service if needed when requesting your FREE notebook. Click the notebook image to request yours. Father’s Day, Mother’s Day, Birthdays, Clergy Appreciation, Christmas, Hanukkah or any other time you want to say, “YOU ARE LOVED OR APPRECIATED” is a good time to give a Gift Card to someone you care for. You can give a gift of any amount or we’ll provide a (secret) Free Estimate for a specific service. Click the gift card image to request yours! 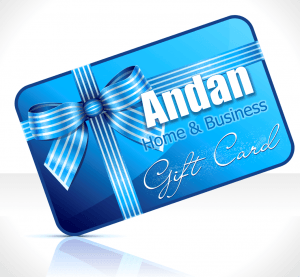 As a Member Benefits Partner, Andan Home & Business offers discounts to the 4,000 members of the Birmingham Association of Realtors. 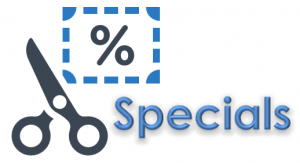 As a member of the BAR simply ask for the Benefits Partner Discount when requesting an estimate for services and you will be given a 10% reduction up to a $100 discount. Click the BAR image and request your discount when scheduling.